Following our Beer & Tapas tour, our very informative guide had suggested we go back up the Prague Castle and see what the inside has to offer. This as the first time we visited we only went as far as the viewing point. To our surprise is was free to enter but of course there are certain extras if you wish to pay for them. Approaching through a different entrance to the first time we came, we strolled through the Royal Gardens, with owls there posing for pictures and with the offer of having a picture with one yourself on your arm. Unfortunately we didn't have any cash for that, but we couldn't help but admire them anyway. Now in the castle complex, which is the largest in the world and covers the area of around 10 football pitches, we wandered through and admired its beauty. St Vitus Cathedral, standing tall in the centre is so grand and beautiful, and the rest is almost like a village or even small town of it's own. The views reaching out to all ends of the city are amazing, and all in all it was a greatly relaxing way to spend a Sunday afternoon. Following the castle, we walked over to the cruise docks, as we would be going on tonight's Jazz Boat. * They see it as a three sense project - listen, taste and see. The Jazz Boat runs daily at 8.30pm, with three different live performances throughout the two hour and a half ride. There are various food and drink options, and although we could see most people tucking into a delicious three course meal, having eaten shortly before hand, we chose nachos and olives from the snacks menu. This went down extremely well with the bottle of rose wine we ordered, and lasted us the entire trip. 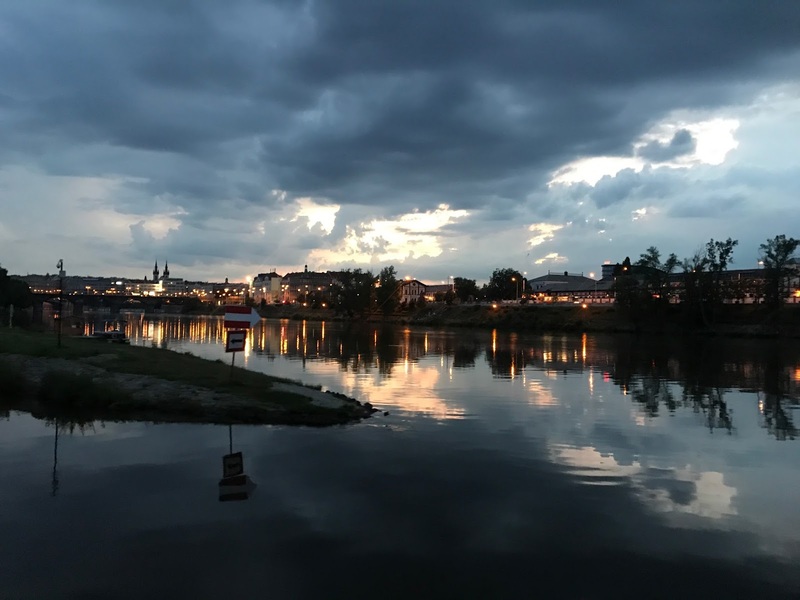 Being the time it was, we were able to relax watching the sunset over the stunningly beautiful Prague, listening to at times soothing, and at others groovy music! This evening was exactly what we needed after a week of full days of travelling and sightseeing. It was the perfect way to unwind and take the time to step back and appreciate Prague for everything it is. 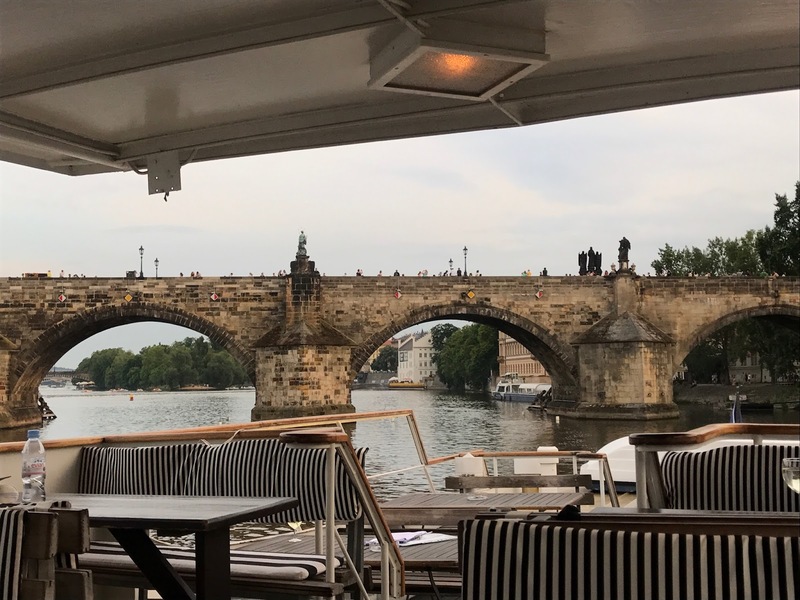 Crossing under the Charles Bridge, looking at the castle from afar, and going through the canal gates were probably the highlights, but overall the relaxing vibe and great wine made the evening pretty special. Thank you so much to Prague Jazz Boat for having us along. We thoroughly enjoyed the evening and would recommend it to anyone! Disclaimer: we were given complimentary tickets to the asterisk (*) in exchange for a mention in this blog post and coverage on social media. However as always, all pictures and views are our own. The royal gardens look lovely and I really like the sound of the jazz boat trip! Really cool that you can get dinner or snack as you enjoy your cruise! Looks like you're having a great time! The jazz boat was so lovely, great end to an evening! Some of these views are beautiful. I hope that is a shot of you filming for another vlog? I watched your Amsterdam vlog and it made me very excited for my holiday there later this month! Yes! Of course that show was for another vlog! It's up now if you haven't seen it already! Thank you, it's so stunning isn't it? Wow beautiful pictures and the jazz boat sounds amazing! I loved Prague when I went but I would like to go back and see more. We'd definitely like to go back at some point too! There's so much more to see! This is the cutest comment ever! You're so seeet and I'm so glad you think so! But yes defo need to get yourself on a jazz boat! The architecture is amazing and I know right the boat views are just unreal! What an absolutely magical tour! The Charles River is really beautiful, especially in that nighttime shot! It sounds like between this and the beer and tapas, you had a lovely stop in Prague! Oh it was amazing in the evening! Prague was definitely ranking up high at this point! A very highly recommended experience if you're ever in Prague! The Royal Gardens and the views from the castle look stunning! Definitely need to add Prague to my must visit list! The royal gardens was spectacular and the views were breathtaking! Definitely add it! I've always wanted to go to Prague and your photos make the city look even more appealing for me!! Loving your adventures - where to next??? You'd love it, honestly! After here we went to Vienna! Prague has always been on my list of places to go and even more now that I know they have a Jazz boat. You pictures are stunning and making me want to go even more. Yes yes yes! 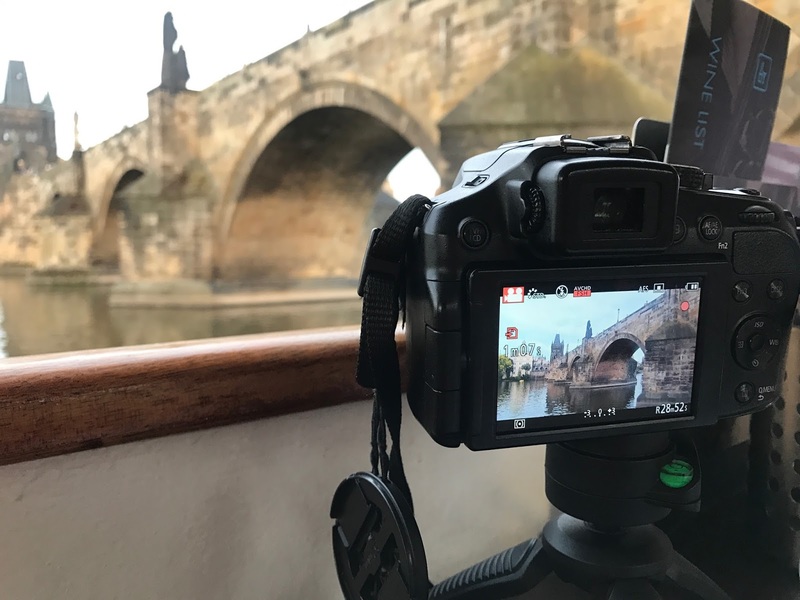 Prague with this jazz boat, a must see and a must do! The beer and tapas tour is my kind tour!!!! Beer all day woo! Love the sound of the jazz boat too what a lovely idea and perfect relaxing setting!! Bet you guys are thoroughly enjoying yourselves! It was the best time ever, such beautiful views, amazing vibes and just an overall relaxed evening!